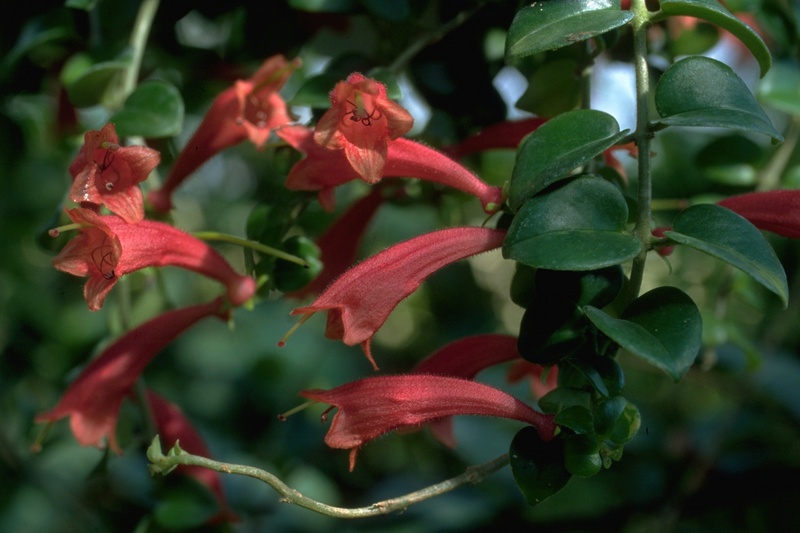 Previous Name: Aeschynanthus species "New Guinea"
This species was collected in New Guinea, on Itikinumu Hill, near Sirunumu Village, Ogotama, with the collected material passed on to the United States Department of Agriculture, and recorded as USDA #354156. 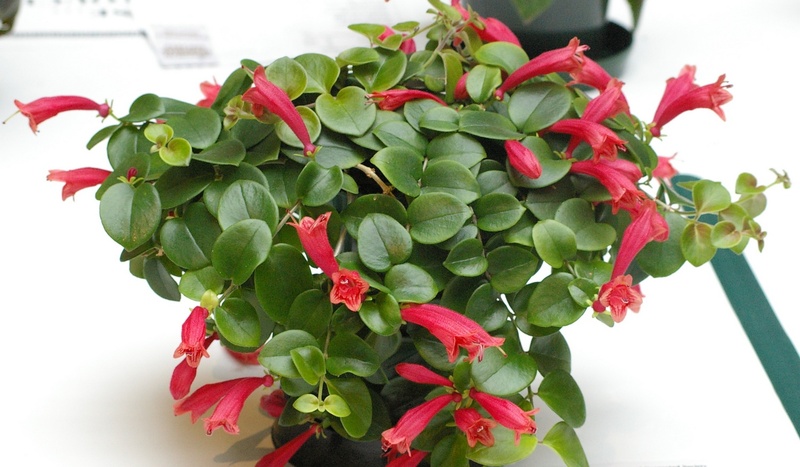 It has been commercially available in North America under the names A. sp. ‘Coral Flame’ and A. sp. “New Guinea”, often without the “sp.” identifer and with both single and double quotes. 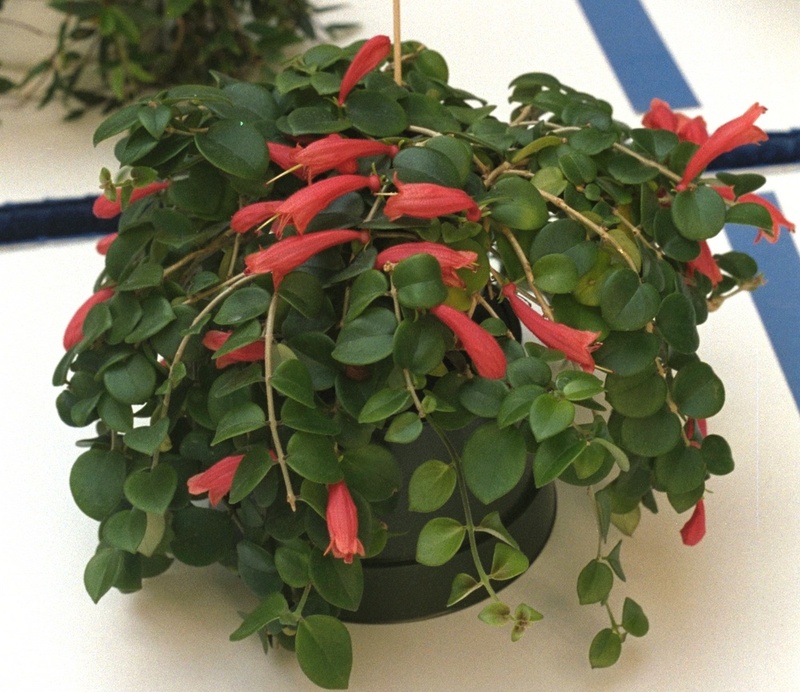 The late Aeschynanthus expert Mary Mendum, of the Royal Botanic Garden in Edinburgh, believed that this species might be A. ellipticus, although a final determination has not been made. Photos of A. ellipticus appear similar but not identical to the plants distributed under the ‘Coral Flame’ or “New Guinea” names, and could well be within the normal variation for a species.